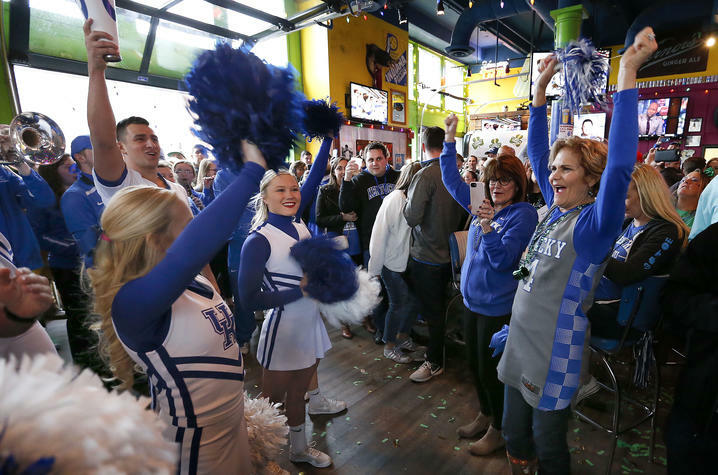 LEXINGTON, Ky (Oct. 22, 2018) — The Central Indiana University of Kentucky Alumni Club will host a pregame gathering and pep rally before the Kentucky men’s basketball team takes on Duke University Tuesday, Nov. 6, in the Champions Classic in Indianapolis. The event is from 11 a.m.-7 p.m. EST, at Tin Roof Indianapolis, located at 36 S. Pennsylvania St. There is no cost to attend. The club will have door prizes, giveaways and auctions to raise money for its scholarship fund. Kentucky plays Duke at approximately 9:30 p.m. EST, at Bankers Life Fieldhouse, at 125 S. Pennsylvania St. Tickets can be purchased here. On Monday, Nov. 5, there will be an alumni luncheon with UK President Eli Capilouto from noon-1:30 p.m. EST, at Prime 47…Indy’s Steakhouse, located at 47 S. Pennsylvania St. The cost is $20 per person and includes admission to the event and a buffet lunch. A cash bar will also be available. Register for the event at www.ukalumni.net/CentralInLunch18. For more information, contact Jack Gallt at jack.gallt@uky.edu.